February is the month of love and Coral Bingo is celebrating Valentine’s Day in style. With the Month of Love promotion, players can earn free tickets for Coral Bingo games and a whole host of romantic rewards. The team at Coral are clearly in a loved-up mood this February as they are dishing out a incredible amount of gifts. Just when you thought these Valentine’s gifts couldn’t get any better, Coral Bingo is also giving you the chance to share the love. If you win a Full House during any of the Garland Room free sessions, you can pick a bingo chat buddy to receive a £5 bonus. To get involved with Coral Bingo’s generous love-fest, make sure you sign into the site any time between January 27th and February 23rd and ‘opt in’. All members, new and existing, are welcome to play along with this promotion so if you don’t have a Coral account yet- sign up right now through Cashbacker! When you’ve opted in to the offer, all you have to do is start purchasing tickets and playing in any of Coral’s many brilliant bingo rooms. 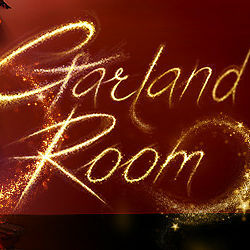 Every £5 you spend will earn you six tickets for the free games in the Garland Room taking place every Friday between 9pm and 10pm. The maximum amount of tickets each player can earn for the free games is 120 per week. The Month of Love promotion is open to all registered members of Coral Bingo, new and existing. Please note that the prizes listed above and the free bingo tickets are only available to win between January 27th and February 24th. Players can earn up to 120 tickets each week that the promotion is active. Please make sure that the casino has your correct contact details on file as winners will be contacted by email. It is all holiday winners responsibility to ensure that they have an in-date and valid passport and that they are permitted to travel to their chosen destination. All prizes may be exchanged for a 70% cash substitute.